Good credentials are a sign of a smart, hardworking, motivated surgeon. You should evaluate the potential surgeon’s credentials before you visit his or her office. It is easy to find out these credentials on the Web. You can also call the doctor’s office and ask for the doctor’s resume or curriculum vitae (the traditional name for a doctor’s resume). Alternatively, you can call the office and ask to speak to the refractive surgery coordinator. This person can answer questions about credentials on the phone. To perform eye surgery, a doctor has to have gone to medical school. Avoid U.S.-born surgeons who have attended medical school outside the United States. That means they likely weren’t strong enough applicants to get admitted to an American medical school. On the other hand, there are some foreign-born doctors who went to medical school abroad and then moved to the United States. These can be excellent doctors because it is very hard for non-U.S.-born surgeons to get licensed in the United States if they trained abroad. Your eyes deserve the most capable eye surgeon you can find. As you “interview” a prospective surgeon, it’s important to find out how experienced the surgeon is in performing the type of procedure you wish to have. Eye surgery is done by an ophthalmologist. An ophthalmologist is a medical doctor who has completed three years of specialized training in eye diseases and surgery. This training is called a residency. Look for a doctor who has gone to one of the top twenty residency programs. Generally, the top twenty programs attract the best medical students, and they also train them better than the other programs. 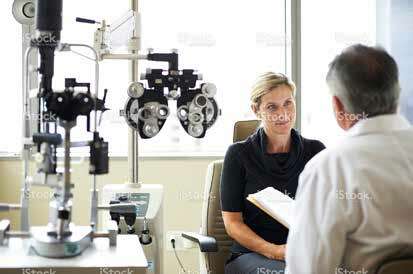 You can find a ranking of eye hospitals at http://health.usnews.com/best-hospitals/rankings/ ophthalmology. Although this is not an exact ranking of training programs, it is a useful guide. Generally, the best doctors go on to do one or two more years of optional specialized training, called fellowship training. This specialized training can be done in different fields. Look for an ophthalmologist who has done fellowship training in either corneal surgery, refractive surgery, or cataract surgery. Fellowship-trained surgeons are generally more skilled and more experienced. Being a member of professional organizations dedicated to refractive surgery can be a sign that the surgeon is committed to improving his or her knowledge in the field. Look for membership in the International Society of Refractive Surgery (ISRS) or the American Society of Cataract and Refractive Surgery (ASCRS). Membership, however, is not necessarily a great credential because pretty much anyone who is willing to pay the dues can join. The exception is the American-European Congress of Ophthalmic Surgery (AECOS), which can be joined by invitation only, and membership is limited to the top surgeons in North America and Europe. Having a leadership role in one of these organizations is a strong credential. A leadership role could be an officer or a committee member in the organization. Generally, the leaders rose to their position because they have been capable surgeon innovators who are at the top of their field. Look for a surgeon who has been a program chairman or co-chairman. These are the people who choose the subjects to be discussed at the national meetings. They have to know the field inside out to be selected for these positions. There are a variety of professional journals and newspapers. Peer-reviewed journals have the highest standards. Every article is carefully reviewed for accuracy by two experts. Many articles are rejected. Getting an article published in one of these journals is difficult and is a strong sign of expertise. Look for a surgeon who has published scientific articles in peer-reviewed journals. This is a sign of unusual commitment and deeper understanding of the field. Go to the National Library of Medicine website, called PubMed (www.ncbi.nlm.nih. gov/pubmed). Type in the prospective surgeon’s last name, a hyphen and initials (I would be “Maloney-RK”), and hit search. Up will come a list of everything the surgeon has published in a peer-reviewed journal. More than twenty publications is a very strong credential. There are also newspapers and magazines written for doctors that are less rigorous and more “easy reading.” We call these “throwaways” because they aren’t worth keeping on the bookshelf. Nearly any doctor who wants to can get an article published in one of these journals, so publication in these journals is not a strong credential. Popular throwaways include Ocular Surgery News, Ophthalmology Times, and Advanced Ocular Care. Go to the National Library of Medicine website to evaluate a surgeon’s publications. If the journal is not listed there, it is a throwaway. The Food and Drug Administration (FDA) authorizes some ophthalmologists to participate as principal investigators in clinical trials sponsored by manufacturers. A clinical trial is a research study, conducted with patients, that is designed to evaluate the safety and effectiveness of a new drug or device. Typically, FDA-authorized ophthalmologists are chosen because of their demonstrated skill and their ability to get great results with refractive surgery. These surgeons are subject to detailed analysis and reporting and are willing to endure a high level of scrutiny. An ophthalmologist who has participated as a principal investigator in multiple FDA refractive surgery trials is likely to be an excellent surgeon for you.